Katey Lent, PT is a Vestibular specialist who received the Herdman Vestibular Competency certification through Emory University in Atlanta, GA. Vestibular Rehabilitation Therapy (VRT) has been shown to be effective in treating many causes of dizziness, vertigo and imbalance. Katey is also trained in the treatment of BPPV with the Canalith Repositioning maneuvers. 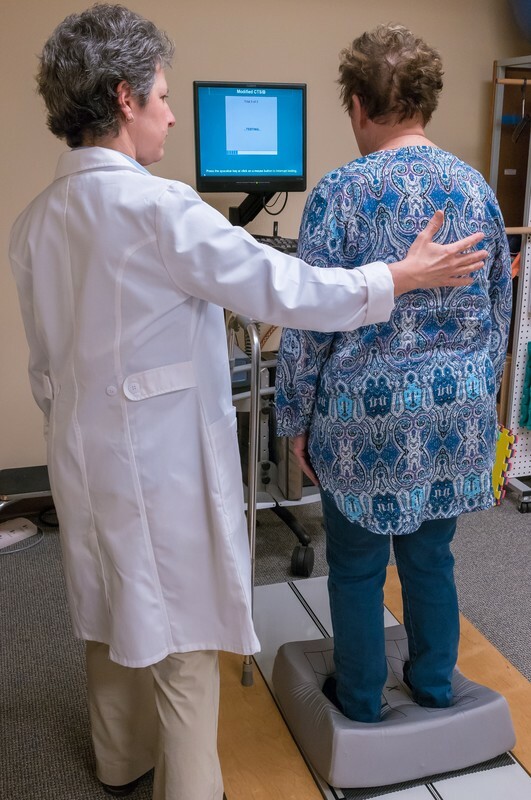 We have specialized equipment including, video frenzel lenses and the Neurocom Balance Master® to better isolate the underlying deficits and thus establish a focused & effective treatment program. Read more about Vestibular Disorders on the Vestibular Disorders Association website.